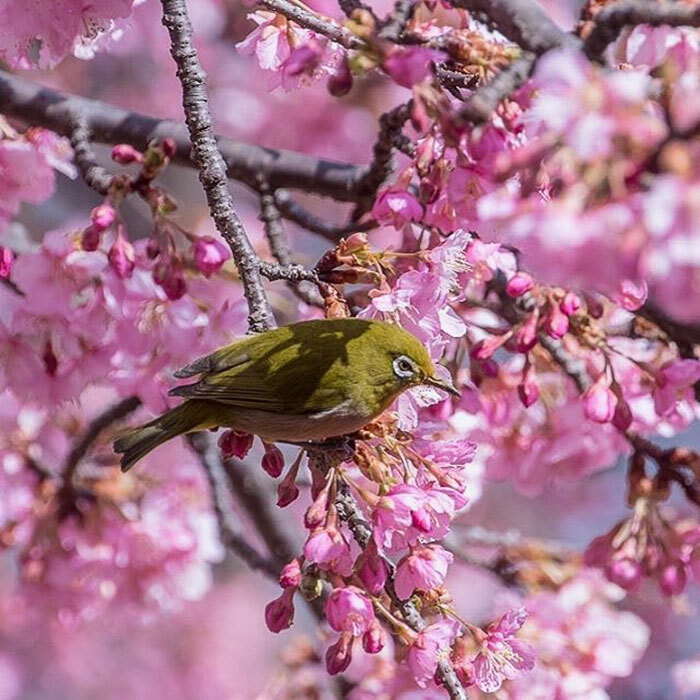 Spring has arrived early in the Eastern Japanese town of Kawazu. 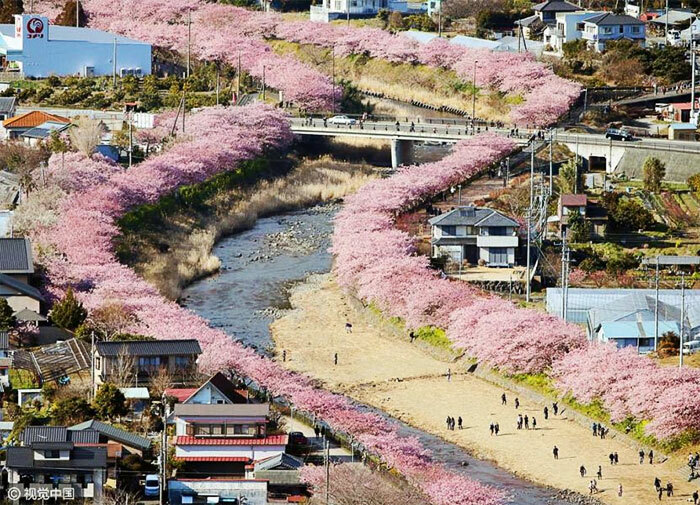 The small town, located just outside of Tokyo, is famous for their 8000 cherry blossom trees that bloom early every year. 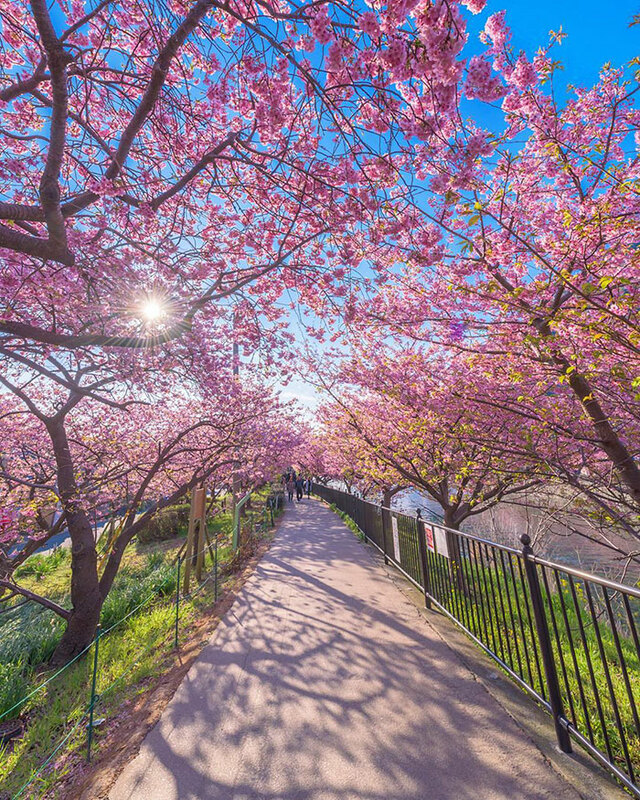 The lush landscapes that greet millions of visitors each February are supremely romantic. 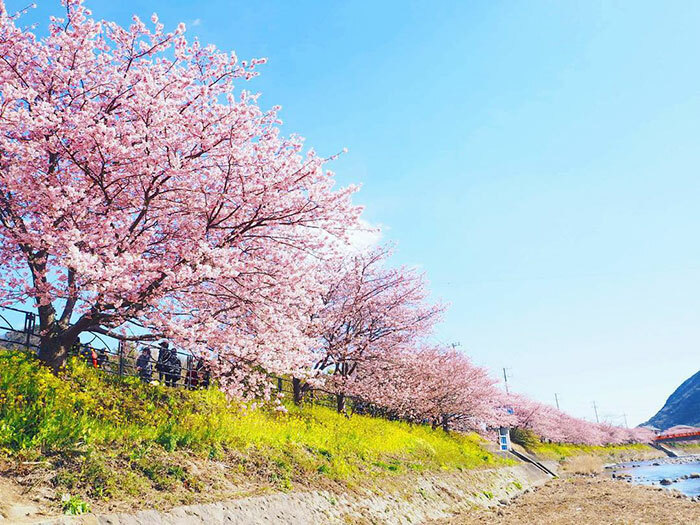 The blossoms, known as sakura in Japanese, typically bloom in late March or early April, but Kawazu’s trees belong to a unique variety that flowers before others. 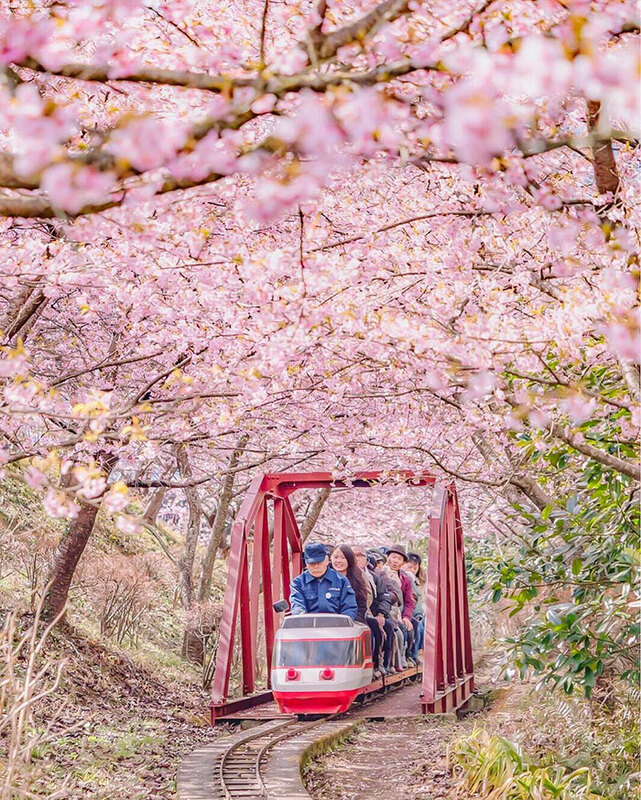 A small locomotive train takes passengers on a journey through fragrant aromas and gradient shades of pink. 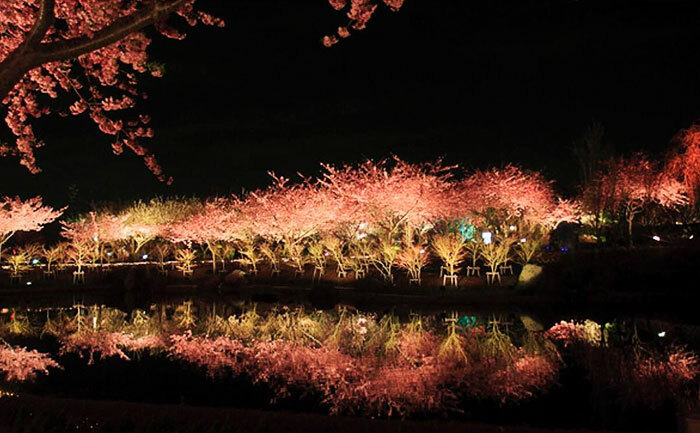 At night, the trees are illuminated by floodlights, and their reflections dance along the still waters of the Izu peninsula. 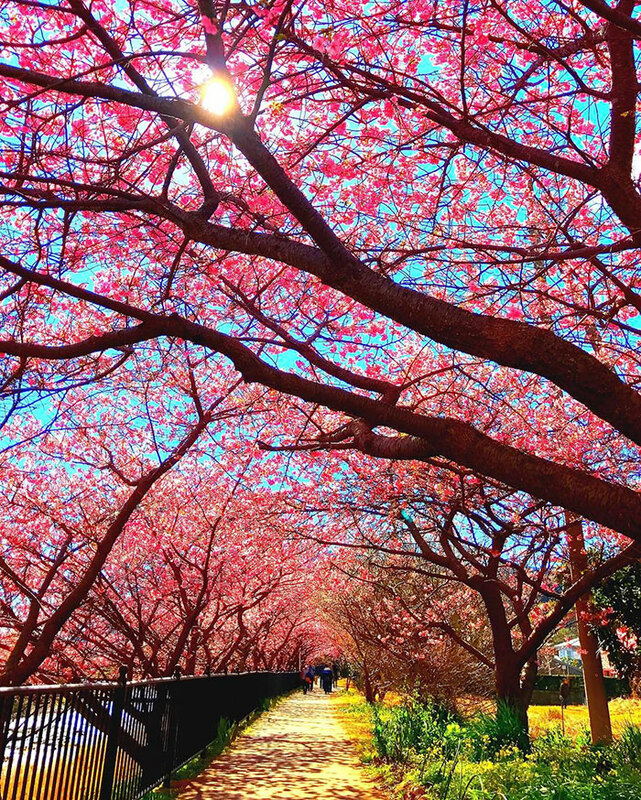 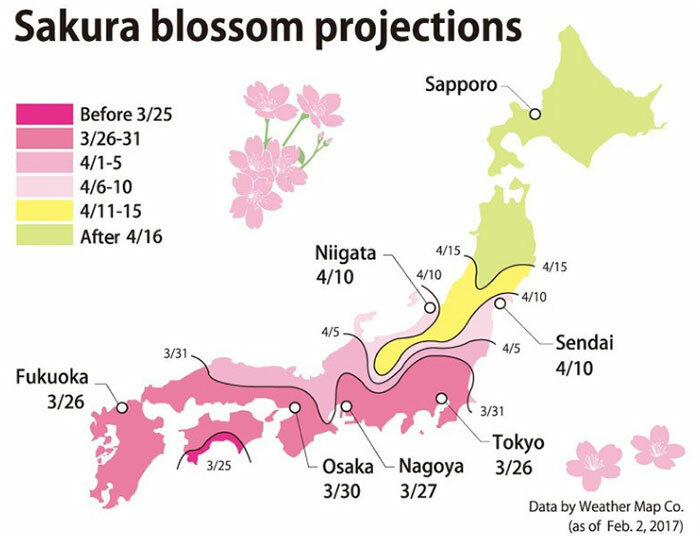 Cherry blossoms are highly symbolic and culturally significant in Japan. 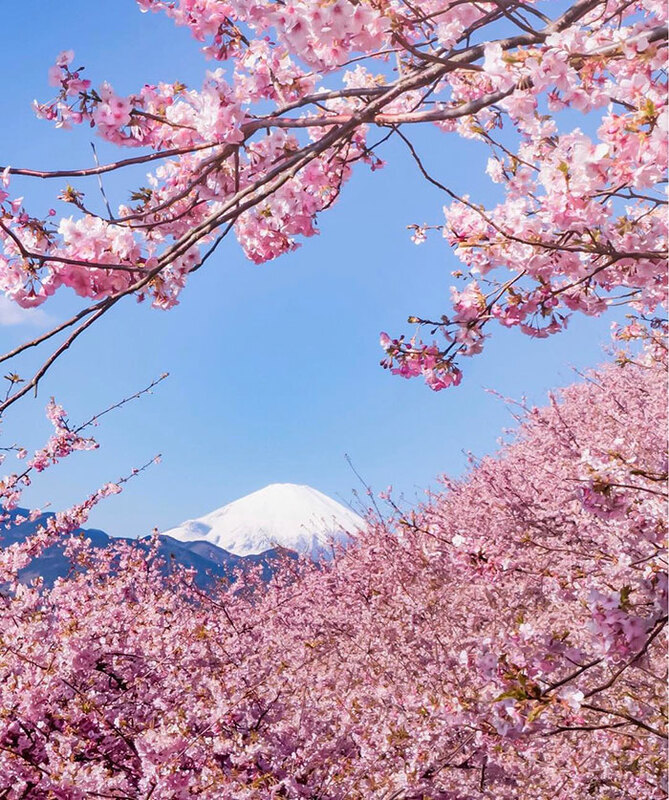 The transient nature of their beauty is often equated to the brevity of life, so they not only represent the acceptance of karma and destiny, but the eventual welcoming of death. 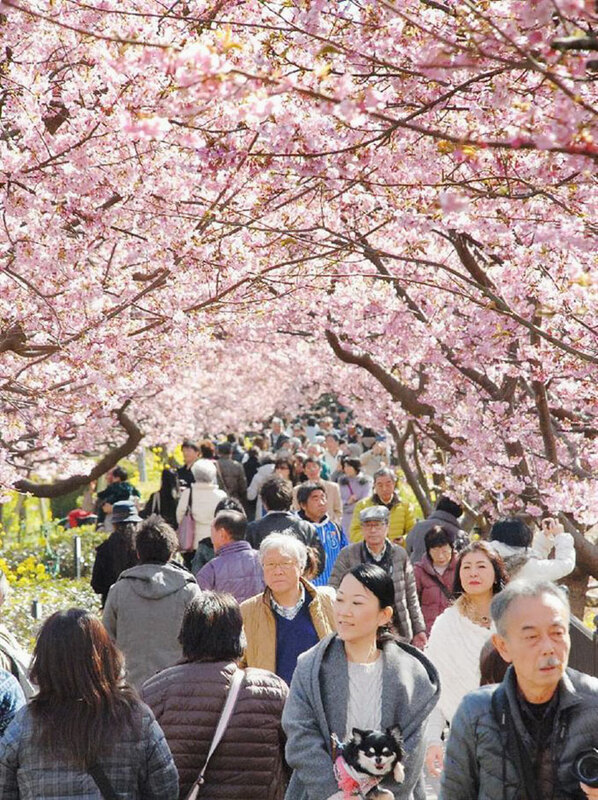 For these reasons, they appear often in Japanese art, and have become an identifying image of the country itself. 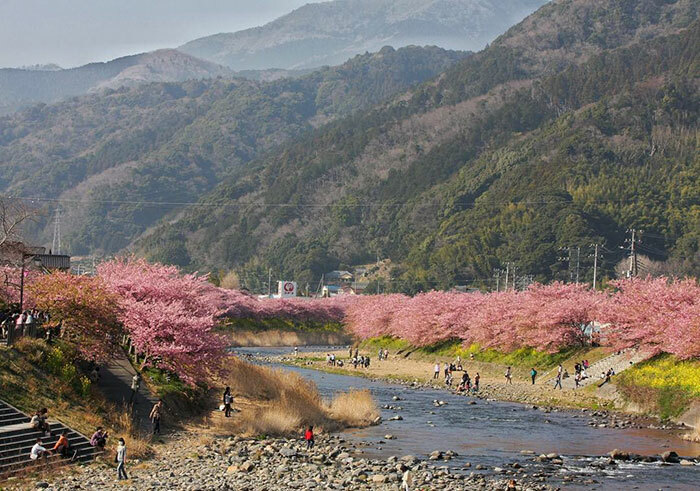 At night, the trees are illuminated, and their reflections dance along the waters of the Izu peninsula.